Flipping a recent script, BU drew first blood with a Dante Fabbro power play goal seven minutes into the first period. Ty Amonte redirected a Joel Farabee centering pass to Fabbro in the left circle for a one-timer past goalie Filip Lundberg. The second period was all UMass as it outshot BU, 16-4. Two goals in less than two minutes—by John Leonard and Jack Suter—gave the Minutemen the lead, which they extended late in the period on Jake McLaughlin’s tally. 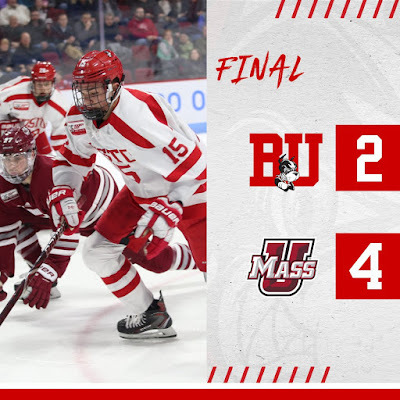 BU pressed to get back into the game in the third period, but it was UMass that found the net next on Marc DelGazio’s power play goal. Terrier narrowed the margin to two in the final minute on Shane Bowers shorthanded goal, assisted by Kasper Kotkansalo and Ryan Cloonan. BU plays Harvard in Monday’s Beanpot consolation game. Co-captain Fabbro played in his 100th game as a Terrier. According to several tweets, Boston Junior Bruins forward Jamie Armstrong has committed to BU for next season. The 6’2” left wing, who previously played for the USHL Central Illinois Flying Aces, was a linemate of Patrick Harper at Avon Old Farms for two seasons. 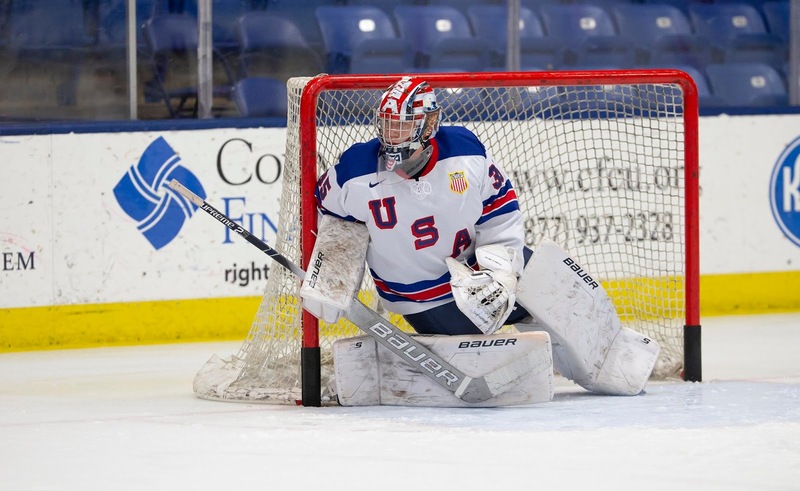 All four 2019 recruits on the NTDP U18s were on the scoresheet in Team USA’s 8-2 rout of The Czech Republic at the U18 Five Nations in Sochi, Russia. Trevor Zegras led the way with a goal and three assists, while Alex Vlasic has a pair of assists and Case McCarthy and Domenick Fensore each had one helper. Team USA takes on host Russia on Saturday with the tournament title on the line. With seven points (3G,4A) thus far in the tournament, Zegras now has a team-high 60 points. 2020 recruit Drew Commesso pitched his second shutout in the U17 Five Nations Tournament in Sweden as Team USA defeated the Czech Republic, 3-0. Fellow recruit Dylan Peterson assisted on the game-winning goal. Earlier in the week, Commesso blanked Finland, 8-0. 2020 recruit Liam Connors scored a pair of goals in #6 St. Sebastian’s 9-2 rout of previously unbeaten #2 Lawrence Academy. 2019 recruit Liam Gorman assisted on Connors’ first tally and added a second-period goal as the Arrows broke the game open. With 34 points in 23 games, Connors established a new career-best and becomes the team scoring leader. TheAthletic.com Sabres find positives in Evan Rodrigues’ scoring spike. 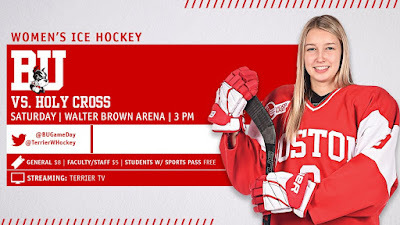 #8 Terriers will look to extend their unbeaten streak to ten games when they host Holy Cross today at Walter Brown Arena in a 3 p.m. start. Since Jan. 6, BU is 7-0-2, the nation’s top current streak, and has averaged 4.67 goals during those games.